This is a follow up on my other blob post about the ContentMD5 blob property (Why is MD5 not part of ListBlobs result?). And it is motivated by the comment from Gaurav Mantri stating that the MD5 is actually in the REST response, it is just not populated by the Storage Client library. So I also did some more testing and I found out that the MD5 is calculated by the and set blob storage when you upload the blob. Because when I did a simple test of creating a new container and uploading a simple 'Hello World' txt file and tried doing a ListBlobs through the REST API, I got the XML back below. Note that I did not populate the ContentMD5 when I uploaded the file! If I try doing a ListBlobs method call on a CloudBlobContainer instance the ContentMD5 is NOT populated (Read more about this in my other blog post). So my best guess is that this is a error in the API of some sort. I would be very nice if this was fixed, so we did not have to compuste the MD5 hash by hand and adding it to the blobs metadata. I would make code like I did for the local folder to/from blob storage synchronization much simpler (Read it here). How do I know this? Well on labs.red-gate.com (my Azure website) I have elmah installed which started sending me e-mails about connection failures from 10:40am when trying to get the dynamic content from the database (I was too busy playing with my new Eee Pad transformer to notice immediately). Going to the website confirmed the failure and trying to connect to SQL Azure from SQL Server Management studio and the Management confirmed bad things were going on. My options to get the database live go something along the lines of. Not everything is going smoothly now. There's a little panic setting in. Punching a hole in the firewall to my computer is a bad idea. We don't have any network visible SQL Servers and changing the firewall rules on anything is going to take too long. We also have monitor.red-gate.com running on AWS - does that have a SQL Server handy for me? - No, although we do have a SQL Azure Server already setup and running in another datacentre. Great! A solution. 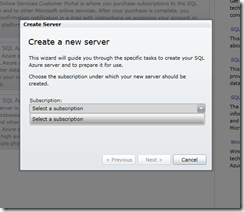 Using SQL Compare and SQL Data Compare I start synching the schema and data from my local RedGateLabs database to the new database I created in SQL Azure in north america. Whilst doing this I start changing the connection strings to point to the new server and run a local copy to test the database has synch'ed up properly. All seems good. Start the publish process from Visual Studio and 12 minutes later we have a working labs.red-gate.com on stanging using the SQL Azure Server in north america. Perform a swap to get staging live and we're done. It's back up thanks to a lot of luck and a little preparation. Yes, a long title, but also something I was not able to find too easily using Google. Here’s the situation: for MyGet, we are implementing basic authentication to the OData feed serving available NuGet packages. After doing some research, I thought the easiest way to resolve this was to use WCF intercepting. Convenient, but how would you go about this? 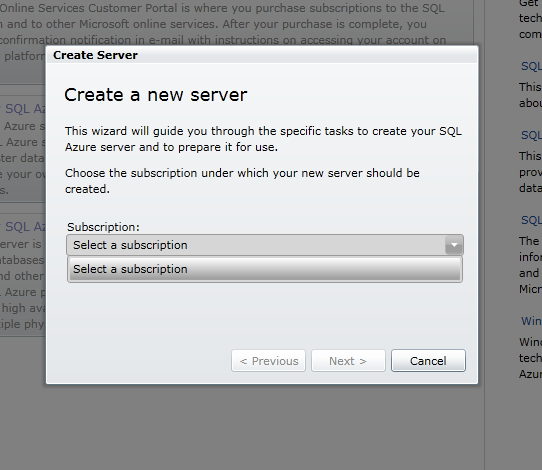 And moreover: how to make it extensible so we can use this for other WCF OData (or WebAPi) services in the future? 22         // Is basic authentication required? 28             // Are credentials present? If so, is the user authenticated? Our ConditionalBasicAuthenticationMessageInspector implements a WCF message inspector that, once a request has been received, checks the HTTP authentication headers to check for a basic username/password. One extra there: since we wanted conditional authentication, we have also implemented an IBasicAuthenticationCondition interface which we have to implement. This interface decides whether to invoke authentication or not. The authentication itself is done by calling into our IBasicAuthenticationProvider. Implementations of these can be found on our CodePlex site. One step to do: apply this service behavior to our OData service. Easy! Just add an attribute to the service class and you’re done! Note that we specify the IBasicAuthenticationCondition and IBasicAuthenticationProvider on the attribute. Azret Botash talks about OData’s internals, especially URI conventions, and demos the creation of a custom provider. Azret Botash works at DevExpress where he focuses on emerging technologies to be included in the future versions of the products. If you will be performing any work using the Windows Azure AppFabric, you’ll need to install a certificate that used during the authentication process. If you will be working with multiple CRM organizations, you’ll need to establish a connection to the CRM Discovery service which will return to you a list of organizations that your security credentials have access to. More information may be found here. To provide a consistent set of URIs that corresponds to the entities used in Microsoft Dynamics CRM, an Entity Data Model (EDM) organizes the data in the form of records of "entity types" and the associations between them. This XML document uses conceptual schema definition language (CDSL) to describe the data available. You will download this document and use it to generate typed classes when you use managed code with Silverlight or as a reference for available objects when you use JScript. The REST endpoint provides an alternative to the WCF SOAP endpoint, but there are currently some limitations. 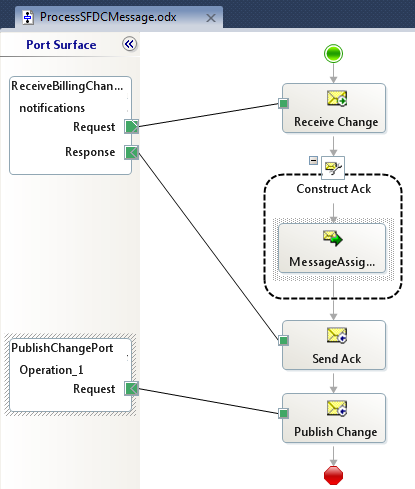 Associate and disassociate actions can be performed by using navigation properties. Use of the REST endpoint is limited to JScript libraries or SilverlightWeb resources. You will typically use WCF Data Services Client Data Service classes while programming by using managed code for the REST endpoint with Silverlight. These classes allow for early binding so that you get strongly typed classes at design time. The only entities available to you are those defined in the system when the classes were generated. This means that you cannot use late binding to work with custom entities that were not included in the WCF Data Services Client Data Service classes when they were generated. In a very short time, my latest book (actually Kent Weare’s book) will be released. One of my chapters covers techniques for integrating BizTalk Server and Salesforce.com. I recently demonstrated a few of these techniques for the BizTalk User Group Sweden, and I thought I’d briefly cover one of the key scenarios here. To be sure, this is only a small overview of the pattern, and hopefully it’s enough to get across the main idea, and maybe even encourage to read the book to learn all the gory details! I’m bored with the idea that we can only get data from enterprise applications by polling them. I’ve written about how to poll Salesforce.com from BizTalk, and the topic has been covered quite well by others like Steef-Jan Wiggers and Synthesis Consulting. While polling has its place, what if I want my application to push a notification to me? This capability is one of my favorite features of Salesforce.com. Through the use of Outbound Messaging, we can configure Salesforce.com to call any HTTP endpoint when a user-specified scenario occurs. For instance, every time a contact’s address changes, Salesforce.com could send a message out with whichever data fields we choose. Naturally this requires a public-facing web service that Salesforce.com can access. Instead of exposing a BizTalk Server to the public internet, we can use Azure AppFabric to create a proxy that relays traffic to the internal network. 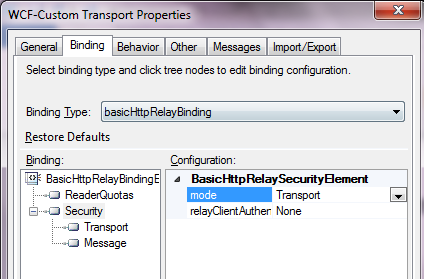 In this blog post, I’ll show you that Salesforce.com Outbound Messages can be sent though the AppFabric Service Bus to an on-premises BizTalk Server. I haven’t seen anyone try integrating Salesforce.com with Azure AppFabric yet, so hopefully this is the start of many more interesting examples. First, a critical point. 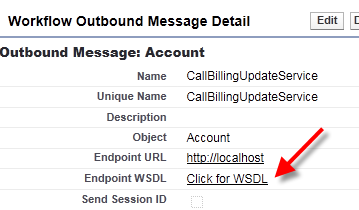 Salesforce.com Outbound Messaging is awesome, but it’s fairly restrictive with regards to changing the transport details. That is, you plug in a URL and have no control over the HTTP call itself. This means that you cannot inject Azure AppFabric Access Control tokens into a header. So, Salesforce.com Outbound Messages can only point to an Azure AppFabric service that has its RelayClientAuthenticationType set to “None” (vs. RelayAccessToken). This means that we have to validate the caller down at the BizTalk layer. While Salesforce.com Outbound Messages are sent with a client certificate, it does not get passed down to the BizTalk Server as the AppFabric Service Bus swallows certificates before relaying the message on premises. Therefore, we’ll get a little creative in authenticating the Salesforce.com caller to BizTalk Server. I solved this by adding a token to the Outbound Message payload and using a WCF behavior in BizTalk to match it with the expected value. See the book chapter for more. Let’s get going. 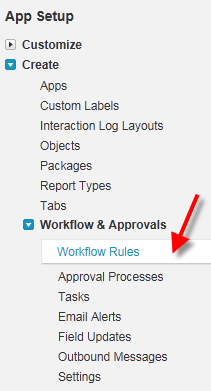 Within the Salesforce.com administrative interface, I created a new Workflow Rule. This rule checks to see if an Account’s billing address changed. The rule has a New Outbound Message action which doesn’t yet have an Endpoint address but has all the shared fields identified. When we’re done with the configuration, we can save the WSDL that complies with the above definition. On the BizTalk side, I ran the Add Generated Items wizard and consumed the above WSDL. I then built an orchestration that used the WSDL-generated port on the RECEIVE side in order to expose an orchestration that matched the WSDL provided by Salesforce.com. Why an orchestration? When Salesforce.com sends an Outbound Message, it expects a single acknowledgement to confirm receipt. After deploying the application, I created a receive location where I hosted the Azure AppFabric service directly in BizTalk Server. After starting the receive location (whose port was tied to my orchestration), I retrieved the Service Bus address and plugged it back into my Salesforce.com Outbound Message’s Endpoint URL. 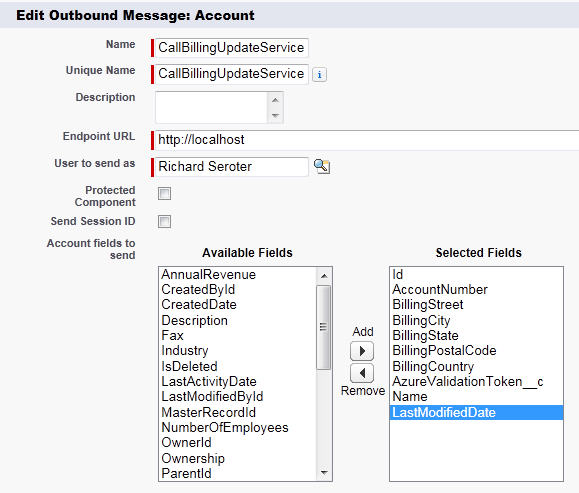 Once I change the billing address of any Account in Salesforce.com, the Outbound Message is invoked and a message is sent from Salesforce.com to Azure AppFabric and relayed to BizTalk Server. I think that this is a compelling pattern. There are all sorts of variations that we can come up with. For instance, you could choose to send only an Account ID to BizTalk and then have BizTalk poll Salesforce.com for the full Account details. This could be helpful if you had a high volume of Outbound Messages and didn’t want to worry about ordering (since each event simply tells BizTalk to pull the latest details). If you’re in the Netherlands this week, don’t miss Steef-Jan Wiggers who will be demonstrating this scenario for the local user group. Or, for the price of one plane ticket from the U.S. to Amsterdam, you can buy 25 copies of the book! When you deactivate Windows Azure Connect Service, Integrator.log stops growing, otherwise it grows very fast, about ~1MB per 5 secs. This problem has been fixed in latest Windows Azure Connect modules so if you redeploy your role, it should pick up the new Windows Azure Connect integrator which includes fix for above described problem. The worldwide Microsoft ecosystem generated local revenues of $580 billion in 2010, up from $537 billion in 2009 and $475 billion in 2007. The IDC study estimates that for every dollar of revenue made by Microsoft Corp. in 2009, local members of the Microsoft ecosystem generated revenues for themselves of $8.70. The Microsoft-commissioned IDC report reveals that the modifications made to the Microsoft Partner Network equip Microsoft partners with the training, resources and support they need to be well-positioned in the competitive IT marketplace, both with the current lineup of Microsoft products and in the cloud. Cloud-based solutions offer Microsoft partners the opportunity to grow by extending their current businesses via cloud infrastructure-as-a-service (private and/or public), software-as-a-service (Microsoft Business Productivity Online Standard Suite and/or Office 365), platform-as-a-service (Windows Azure) or a hybrid combined with on-premise solutions. PowerDNN, the leading DotNetNuke hosting and solutions provider, has announced that they are doing a significant upgrade to their infrastructure to bring all current and future customers onto their Cloud Environment. This is a huge milestone for all PowerDNN customers as it will bring improved speed, expanded redundancy, and greater flexibility to their services. It also allows PowerDNN to become environmentally friendlier, while maintaining competitive pricing. PowerDNN's Shared Cloud Hosting Plans start as low as $20 per month and can easily be upgraded into a cloud server or private cloud. For more information on our different Cloud options please contact sales@powerdnn.com. By default when we click on a record that opens the details screen we see the details based on that record. Because we are working with related data it might come in handy being able to view child records based on the parent record. In this example when we click to view a Dog's information we will see the details on that dog as well as its puppies. We will also add another screen that will allow us to filter our dogs based on it's breed. Networking26 uploaded an introductory Light Switch Tutorial 01 Webcast on the same day. In part one of this look at cloud application migration, we discussed how cloud providers, through the selection of hypervisors and networking, affect the capability to migrate applications. In part two, we will talk about how appropriate architectures for cloud applications and open standards can reduce the difficulty in migrating applications across cloud environments. Numerous cloud experts have indicated how important an application’s architecture reflects on the ability to move it from one cloud to another. Appropriate cloud application architectures are part of the solution to cloud interoperability, and existing applications may need to be re-architected to facilitate migration. The key is trying to architect applications that reduce or eliminate the number of difficult-to-resolve dependencies between the application stack and the capabilities provided by the cloud service provider. Bernard Golden, CEO of HyperStratus, has noted that, to exploit the flexibility of a cloud environment, you need to understand which application architectures are properly structured to operate in a cloud, the kinds of applications and data that run well in cloud environments, data backup needs and system workloads. Traditional application architectures (such as three-tier architectures) that are designed for stable demand rather than large variations in load. They do not require an architecture that can scale up or down. Synchronous application architectures, where end-user interaction is the primary focus. Typically, large numbers of users may be pounding on a Web application in a short time period and could overwhelm the application and system. Asynchronous application architectures, which are essentially all batch applications that do not support end-user interaction. They work on sets of data, extracting and inserting data into databases. Cloud computing offers scalability of server resources, allowing an otherwise long running asynchronous job to be dispersed over several servers to share the processing load. Platform as a Service (PaaS) providers provide tools for developing applications and an environment for running these applications. To deliver an application with a PaaS platform, you develop and deploy it on the platform; this is the way Google App Engine works. You can only deploy App Engine applications on Google services, but cloud application platforms such as the Appistry CloudIO Platform allow for in-house private cloud deployment as well as deployment on public cloud infrastructures such as Amazon EC2. Where the application is developed and where it is to be run are factors that feed into the application architecture. For example, if you develop in a private cloud with no multi-tenancy, will this application run in target clouds where multi-tenancy is prevalent? Integrating new applications with existing ones can be a key part of application development. If integration involves working with cloud providers, it is difficult because cloud providers do not typically have open access into their infrastructures, applications and integration platforms. Older applications that depend on specific pieces of hardware -- meaning they'll want to see a certain type of network controller or disk -- are trouble as well. The cloud provider is not likely to have picked these older pieces of hardware for inclusion in its infrastructure. In your efforts to migrate applications, you may decide to start working with a cloud provider template where the provider gives you an operating system, such as CentOS or a Red Hat Enterprise Linux template. You'll then try to put your applications on it, fixing up the things that are mismatched between the source application environment and the target environment. The real challenge is that this approach becomes an unknown process, complete with a lot of workarounds and changes. As you move through a chain of events, fixing problems as you go, you are really rewriting your application. Hopefully you won't have to rewrite it all, but you will surely change configurations and other things. You are then left with a fundamentally different application. This could be good or bad, but either way you'll have at least two versions of your application -- the data center version and the cloud version. If moving an application back and forth between your data center and a cloud (or from one cloud to another cloud) results in two different versions of the application, you are now managing a collection of apps. As you fix and encounter problems, you'll have to work across however many versions of the application that you have created. Read more: Bill continues with a “Cloud standards and application migration” topic. We all know what virtualisation consists of: a host containing one or more virtual machines, usually, but not necessarily, servers. Scale that up and you get dozens, or hundreds, of servers powering hundreds, if not thousands, of virtual machines. That is becoming typical of today's data centre. So what is a private cloud in this context? The answer is not so clearcut. Some argue that it is a set of computing resources – networking, storage and raw compute – that an organisation can draw on at will. It lives either in your data centre or in a co-located facility. The essential characteristic is that you own it and control it. And because you are managing all of it, you pay for all of it. The difference between virtualisation and private cloud is that one provides the means to achieve the other – but it is not quite so simple. If you virtualise, you reduce hardware maintenance but you still have to manage those machines, patch their operating systems and applications, and generally keep them up to date. And when their requirements change – maybe the accounts department is doing its monthly invoice run and needs more disk space and CPU – you have to manage that process manually. What a private cloud brings is automation of that resource allocation as demand moves around the data centre. It means the commissioning and de-commissioning of machines and the automatic management of available resources, as well as upgrades, patches and maintenance. Virtual machines can commission additional resources as they need them. In other words, the focus of attention shifts from the infrastructure to service delivery. There are several ways to achieve this. VMware's vCenter is a form of cloud management. Microsoft’s System Center also plays in this field, as does HP’s CloudSystem Matrix. The thing to remember is that if a virtual machine is to have complete freedom to move around the data centre, it is not just the server configuration that changes: the storage, network policies and security polices need to move too. There are several other products out there offering to take control of your data centre and help you manage it as a single entity. They include software from Cloud.com, Abiquo and Nimbula, among others. Nimbula Director promises to help you migrate applications into the cloud. It includes policy-based authorisation, together with dynamic storage provisioning, monitoring and metering, automated deployment and cloud management. Cloud.com is open source and promises similar benefits. It comes as a free, community-supported edition as well as in a fully supported commercial version. Abiquo also offers community and commercial versions of its software. But as Mark Bowker, an analyst at the Enterprise Strategy Group, has pointed out, none of the vendors, including the major ones such as VMware, Citrix and Microsoft, are clear as to what a private cloud is, although they are united in their view of virtualisation technology as its bedrock. To summarise, the key definition of a cloud, whether private or public, is its intelligence and responsiveness to demands from a virtual machine for resources. But that is just a vision for most companies right now and is likely to remain so unless you buy all your data centre gear from one vendor. Unsurprisingly, that is what the big beasts in the IT jungle would prefer and an option they are all offering. All they have to do is convince enterprises that it is safe to go back into the single-vendor pool, and that might not be quite so easy. The major theme being discussed at GigaOm’s Structure conference in San Francisco this week is the future of cloud computing. Most of us can agree that we’re still in the nascent stages of this technology, and that there are a lot of pitfalls to overcome still. But many Silicon Valley players argue that we need to accept the failures of the cloud to learn from them. While moderating a “guru panel” dubbed “What can the Enterprise Learn from Webscale?” on Wednesday, Facebook’s VP of Technical Operations Jonathan Heiliger said that “web businesses are designed to fail,” meaning that the fundamental components are going to fail, but that the apps should be built to under scale this failure. Everything within the infrastructure needs to be designed with failure in mind…That’s how you have to run your business. In addition to having fundamental fault tolerance, you have to think very quickly about how you’re going to scale your applications. It’s not just about economics…it’s about good system design, dealing with networks and components failing…It forces you to expose clean APIs between these components. Sid Anand, a software architect at Netflix, offered the example that when the video streaming site moved to Amazon’s Web Services cloud, noting that the move was successful because developers rebuilt the apps from scratch with a new DNA. Thus, as Anand mentioned, Netflix had an “infinite scalable and resilient” system because they didn’t “shoe-horn” apps into a new platform that they weren’t originally designed for. Of course, one of the biggest hindrances to the cloud still for most consumer and enterprise computer users is questionable security. Without delving too much into specifics, Jacob Rosenberg, an architect at Comcast, advised that enterprises need to take a more holistic approach to understanding security. Scott added that this could incorporate “traditional security techniques and aggressive monitoring” by IT departments. Noting that “there is a new generation of measures that are being taken to secure cloud-type services,” Rosenberg said that these ideas can still be applied to existing hosted products to make them more secure as well. world-class content and networking tools that are an essential resource to networking and communications professionals from more than 195 countries. Join the Internet's top engineers. Introducing the Surge Hack Day on Sept. 28th. A chance for practitioners to get together for a day, and get their code on. Interested in attending the Cloud Control Conference in Boston from July 19th-21st, but don’t have a ticket yet? CloudTimes has 5 free tickets to giveaway – a $1385 value each! All you need to do is send us an email to info@cloudtimes.org with your name, company and email address, Follow us on Twitter and Like us on Facebook. Deadline is EOB on June 29th. We will choose the winners randomly. CloudTimes is a media sponsor of the Cloud Control Conference and Exhibition in Boston. The event will be held at the Hilton Boston Logan Hotel and Conference Center on July 19, 20 and 21, 2011. See my Giga Om Structure Conference 2011 - Links to Archived Videos for 6/22/2011 and Giga Om Structure Conference 2011 - Links to Archived Videos for 6/23/2011 posts for more information about the Structure Conference 2011. Today AppHarbor is unveiling our add-on program. As of right now, you can add third-party services from MongoHQ (MongoDB), Cloudant (CouchDB), Redis To Go (Redis), Mailgun (email sending and receiving) and Memcacher (memcached). We have wanted to offer these kinds of services on AppHarbor for a long time, and we think that letting third party service providers onto the platform is the best way to get developers access to a wide selection of high-quality services. Adding an add-on to one of your applications is very simply: Simply select 'Add-ons' from the application menu on appharbor.com, find the add-on you want and then add it. This causes AppHarbor to provision the resource with the add-on provider so that it is ready for your application to use. The next time you deploy your application, AppHarbor will inject the required configuration information into your application so that the service can be consumed. You can find more detailed information on how that works for the various add-ons in the add-on section of the knowledge base. We hope to soon offer many more exciting services as add-ons on AppHarbor. If you have an idea for a service that you think should be available (or if you think you can do a better job of providing a service already offered), you can start building an add-on right now. Our add-on API is based on Heroku's and the documentation is open. Have an idea for an add-on? Drop us a line at partner@appharbor.com. We have got a long list of features that we want to add to the platform, both the ones you're suggesting on the feedback forum and plenty more that we aren't telling anyone about. We've also managed to secure solid financial backing and would love to grow our team. We are looking for superb engineers willing to work in either San Francisco or Copenhagen, Denmark. Lots of .NET experience is not required, but a willingless to learn C# and .NET is. What is required though, is top-notch object oriented design and development skills, knowledge of distributed version control systems and experience building loosely coupled platforms.We also value web development experience, experience managing servers and database systems and experience with cloud platforms. At AppHarbor, you'll get to work on one of the hottest and most talked-about products in the .NET ecosystem. Every day, you'll help make it easier for developers to deploy and scale their code so that they can spend their time thinking about and building great apps. At AppHarbor, we try to live the product we build: We move fast and often deploy new features and fixes many times a day. AppHarbor offers competetive compensation including stock for top candidates. Friday night, June 24th, we moved all applications from servers running Windows Server 2008 SP2 (and IIS 7) to brand new servers running Windows Server 2008 R2 (and IIS 7.5). The move went well with the AppHarbor platform seamlessly deploying applications to the new servers, shifting the traffic load and removing applications from the old servers. Because of small changes to the default inherited application configuration from IIS 7 to IIS 7.5, a few applications encountered issues running on the new servers. We either worked with the application developers to resolve the issues immediately, or moved the applications back to the old servers until the issues could be resolved. We are evaluating how to best conduct updates like these in the future to avoid any application downtime. Since all applications were redeployed, all platform application App_Data folders were also reset. This served as a reminder to some developers not to use the App_Data folder of their application for other purposes than temporary caching. App_Data contents are not preserved across deploys. This includes re-deploys conducted by the AppHarbor platform as part of regular maintenance such as the one described. AppHarbor, a platform as a service (PaaS) provider for .NET developers and businesses, today announced an add-on API that will provide a self-service portal for third-party service providers. Under the baseline “Azure done right“, the AppHarbor team has made some significant progress since their prototype release in September 2010. I had the chance to meet two of the founders, Michael Friis and Rune Sørensen at last week’s GigaOM Structure event in San Francisco. See the short video with Michael Friis below. This new release lets developers purchase cloud services through a single, easy-to-use interface and easily integrate additional functionality into the applications they build on the AppHarbor platform. The catalog of add-ons available with this release include MongoHQ, Cloudant, Redis To Go, and Mailgun. These services are now offered on the AppHarbor platform and seamlessly integrate into a users pre-existing applications enabling immediate and automatic access to the comprehensive capabilities of each offering. Add-on programs like AppHarbor’s provide a process for accelerating the process of bringing new applications from beta through to release. 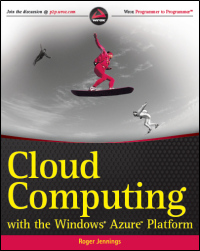 .NET developers can leverage the cloud and more quickly deploy and scale applications. AppHarbor’s platform gives .NET developers access to a Git- and Mercurial-enabled continuous deployment environment that supports a rapid build, test, and deploy workflow common to agile teams and startups. AppHarbor features automated unit testing which allows developers to test code before it gets deployed, eliminating the possibility of deploying code that breaks their site. Additionally, AppHarbor takes only 15 seconds to deploy new code versions, compared to 15 minutes like other solutions on the market. The AppHarbor platform is self-hosting and capable of deploying new versions of itself. AppHarbor makes deploying and scaling .NET applications quick and simple. Available now, AppHarbor customers can visit the add-ons catalog at appharbor.com/addon. Once an add-on is selected, developers can immediately start using the service. Founded in 2010, AppHarbor has over 5,300 users and has received seed funding from Accel Ventures, Ignition Partners, Quest Software, Salesforce, SV Angel, Start Fund and Y Combinator. For those of you who don’t know, I’m a senior cloud strategist for Dell in our Cloud Solutions group, and I’m also the business / marketing lead for Dell’s OpenStack initiative. We’ve been incredibly busy working on all things OpenStack, so I wanted to provide a bit of an update on where we’ve been, and where we’re going. Last summer, Dell was one of a few vendors such as Intel, Citrix, and a few others, that got together and supported the fledgling new OpenStack movement founded by Rackspace and NASA. Since then, we’ve been active in the community, working with partners, and helpng customers on real OpenStack engagements. Dell’s been an integral part of all three OpenStack Design Summits to date – sponsoring portions of the events, leading discussions on architecture and design, providing hardware for install fests, and meeting with partners and customers. Crowbar anyone? We’ve led the way in an operational model that starts with bare metal provisioning but provides a methodology for managing your evolving OpenStack instance. Developed the popular technical whitepaper ”BootStrapping OpenStack Clouds” authored by Dell’s own OpenStack celebrities Rob Hirschfeld and Greg Althaus, as well as contributions from Rackspace OpenStack celebrity Bret Piatt. It should be clear that Dell’s a believer in what the OpenStack community is doing, and we are committed to being a part of the community, providing expertise where our core competencies are. It’s been that way since we started back in July of last year. Did you know customers have already started working with Dell on getting OpenStack clouds in their environments? Dell’s OpenStack Installer, better known to the community as #Crowbar, is coming along nicely! When we announced the existence of Crowbar earlier this year, we were clear that our intention was to contribute it to the open source community. We are well on our way there. We’ve already submitted our blueprint to the OpenStack governance body for Crowbar as a cloud installer (more on that here from Rob Hirschfeld). And here’s a quick snapshot of our latest work on the Crowbar UI that Rob posted recently. The final comment I’ll make is that we see this summer as an important time for OpenStack – Cactus is out, Diablo is around the corner, partners are joining the community daily, and customers are getting excited. More and more of our customers are finding out HOW REAL OpenStack, and are getting on board. Dell is going to continue to be a mover and shaker in OpenStack, so keep an eye out on Dell as we prepare to make our next big move in OpenStack. Head back here often to stay up to date, and you can also follow myself and other Dell OpenStack leads on Twitter – @jbgeorge, @zehicle, @barton808, and others. Here’s to the summer of OpenStack! Still no news from Dell about the promised (last year) delivery of the Windows Azure Platform Appliance. KVM is incorporated in the Linux kernel and is backed by some open source advocates while others prefer Xen. (Interestingly, the two Xen.org founders left Citrix yesterday to launch a startup). Still, it’s been an uphill battle — and a development challenge — for the lesser known KVM open source hypervisor to make headway in the enterprise market. At the recent Red Hat Summit, execs insisted that KVM is enterprise ready. Today’s announcements — including the release of Red Hat’s MRG 2.0 — are designed to further that goal. Technorati Tags: Windows Azure,Windows Azure Platform,Azure Services Platform,Azure Storage Services,Azure Table Services,Azure Blob Services,Azure Drive Services,Azure Queue Services,SQL Azure Database,SADB,Open Data Protocol,OData,Windows Azure AppFabric,Azure AppFabric,Windows Server AppFabric,Server AppFabric,Cloud Computing,Visual Studio LightSwitch,LightSwitch,Amazon Web Services,AWS,OpenStack,Dell Computer,PowerDNN,DotNetNuke,Dynamics CRM,Crowbar,AppHarbor,Structure Conference 2011,Red Hat,KVM,Xen,VMware,Open Virtualization Alliance,nioovo,Cisco Systems,CiscoLive!